NASA is giving people around the world a reason to ooh and aah this July Fourth. At 8:18 p.m. PDT, as fireworks are streaming through the skies across the U.S., the Juno spacecraft will be taking the on-ramp to an orbit around Jupiter. 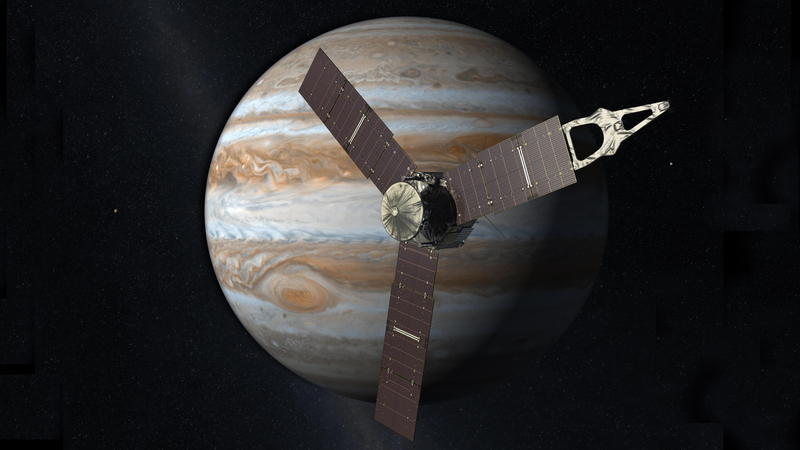 Can you calculate just how much Juno needs to slow down to get into orbit around Jupiter? While maybe not as dramatic as a jet-powered landing on Mars, the Juno Orbit Insertion (the name for the process, also called JOI) requires that the spacecraft slow down just enough to not go zooming past Jupiter. As of Thursday, the spacecraft’s fate rested on a series of 1s and Os as a command sequence made the 48-minute journey from a gargantuan antenna in Goldstone, California, to the spacecraft 534 million miles away. While a successful orbit insertion is now largely out of mission controllers’ hands, there will be no shortage of nail biting on July Fourth. With a five-year journey behind it and lofty goals ahead – which include peering through Jupiter’s thick cloud cover to uncover clues about how our solar system was formed – Juno has a lot resting on what will amount to a 35-minute engine burn. And perhaps even bigger risks are still to come as Juno begins its 33.5 oblong orbits around Jupiter, which will bring the spacecraft closer than ever before to the planet’s cloud tops – and to its lethal radiation. To follow along on July 4 as Juno begins its journey into Jupiter’s orbit, watch NASA TV live coverage beginning at 7:30 p.m. PDT. 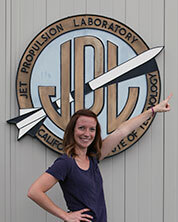 For a mission countdown, images, facts about Jupiter and Juno and other resources, visit NASA’s Solar System Exploration website. Exploring Jupiter Slideshow - Find out how many spacecraft have been to Jupiter so far and what they've discovered. Plus download a free poster! 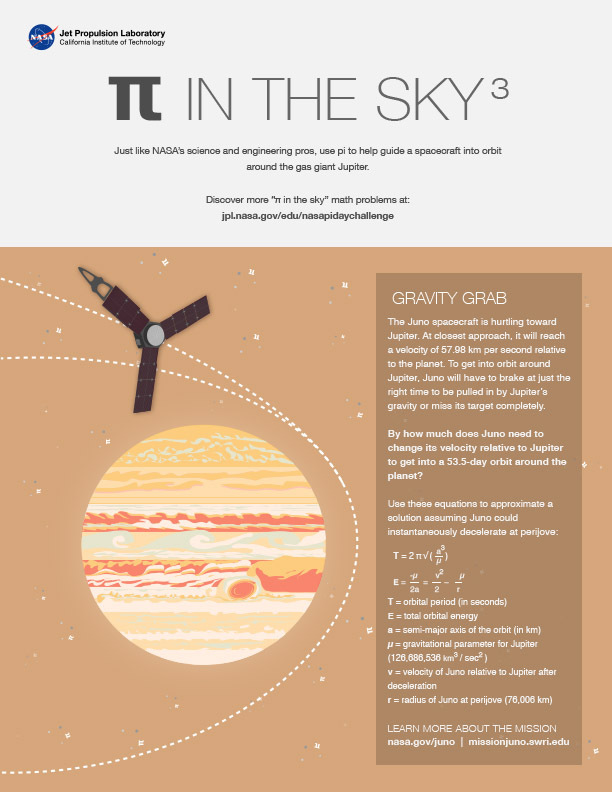 Powering Through the Solar System with Exponents - This educational activity has students use exponents and division to understand how the Juno spacecraft got to Jupiter using solar power. Why with Nye: Mission to Jupiter - In this video series, Bill Nye explains why NASA is sending a spacecraft to the most giant (and possibly most dangerous) planet in our solar system.